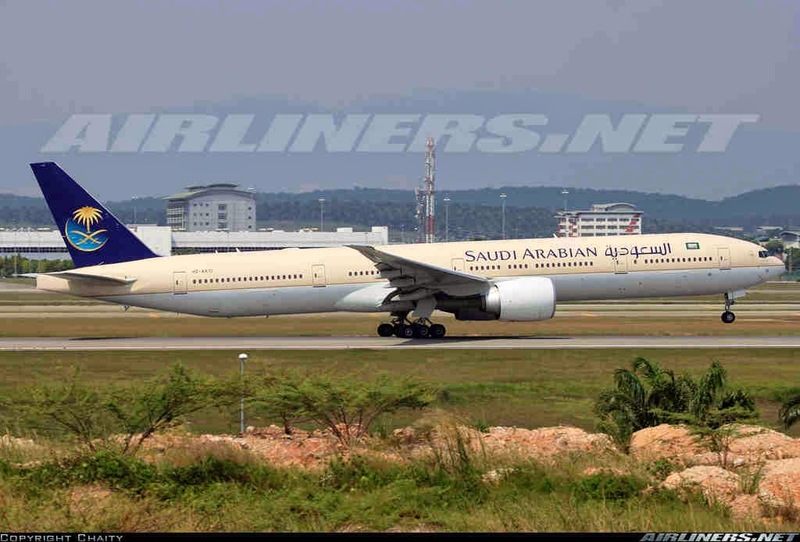 Aviation Updates Philippines - Saudi Arabian Airlines is expanding its flights to Manila as the number of Filipinos living in Saudi Arabia is rising. According to the airline, it will increase flights from Dammam and Riyadh to Manila by January 2015. Flights will soar from 11 weekly flights to 14 weekly flights due to high passenger demand. However, flights from Dammam and Riyadh to Manila will be downgraded as it switches aircraft from the Boeing 747-400 to Boeing 777-300ER. According to the carrier, Manila is an important destination due to the large number of Filipinos living in the Kingdom of Saudi Arabia. "Manila is considered as one of the airline's most important stations," said Saleh bin Nasser Al-Jasser, Saudi Arabian Airlines Director General. Saudi Arabian Airlines is the first foreign carrier to launch flights between Saudi Arabia and the Philippines in 1982. It only operated two flights per week flying over 44,000 passengers. The airline now operates the highest number of flights between the two countries as it operates over 16 weekly flights.